With the end of the ITC's, the Warhawks say goodbye to six seniors. I'd like to give a special thank you to our six Seniors this year: Ryne Greenwood, Jordan Hastings, Nick Kruml, Bobby Phillips, Dan Reinke and Kevin Scholz. Ryne, Nick, Dan and Kevin have been with us throughout their whole collegiate career while Jordan and Bobby joined the group last year. I hope you six realize just how much you've contributed to the success of this program. I know we weren't able to get you that national title, but you can leave with your head held high knowing that any of our future success is because of the contributions you made during your time here. We certainly didn't see eye to eye all the time but it is all a part of the process. I wouldn't trade a single second of the past four (or two) years with you! 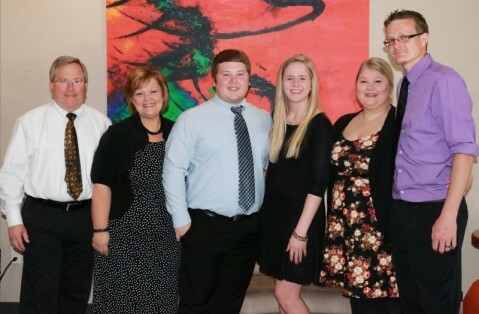 Please keep the Warhawks Bowling program in your thoughts as we will certainly never forget any of you! 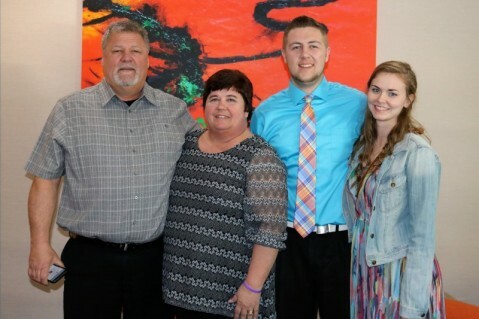 It was certainly an exciting week for the University of Wisconsin Whitewater in Wichita, KS. Our week started with Senior Nick Kruml competing in the Intercollegiate Singles Championships. 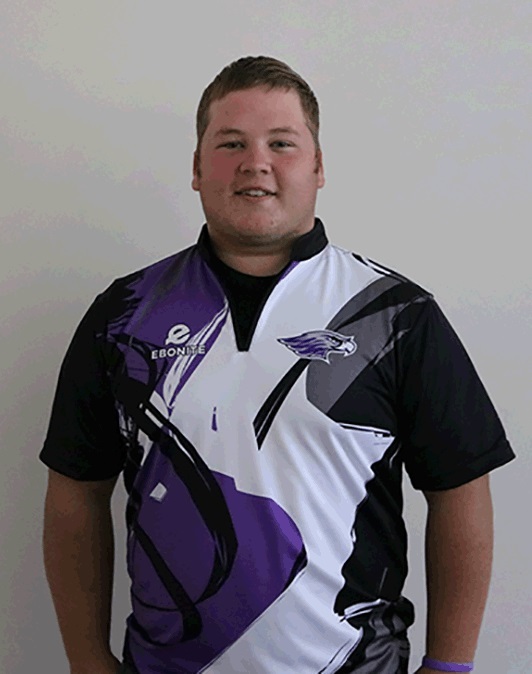 Nick was the first male player in UW Whitewater history to complete in the ISC's. Nick shot 1602 during the 8 games of qualifying to finish 9th. In the opening round of the bracket, Nick took on the number 24 qualifier Armando Villa from St. John's University. Nick won the 3 game match 579-524. In the second round, Nick lost to the number 8 seed and tournament runner up Darren Tang by the score of 642-660. This placed him in the 9th - 16th grouping. 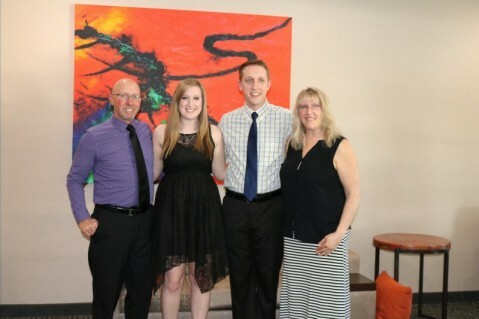 Wednesday evening was the Night of Champions Banquet. The Warhawks had the most successful night in school history. 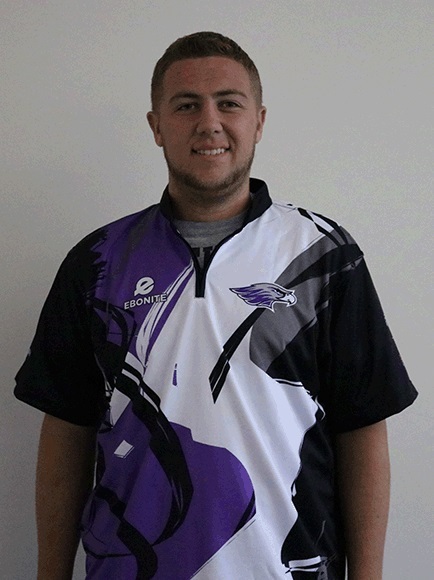 Senior Co-Captain Nick Kruml was once again named a National Collegiate Bowling Coaches Association 1st Team All American as well as an International Bowling Media Association Collegiate Player of the Year Runner Up. 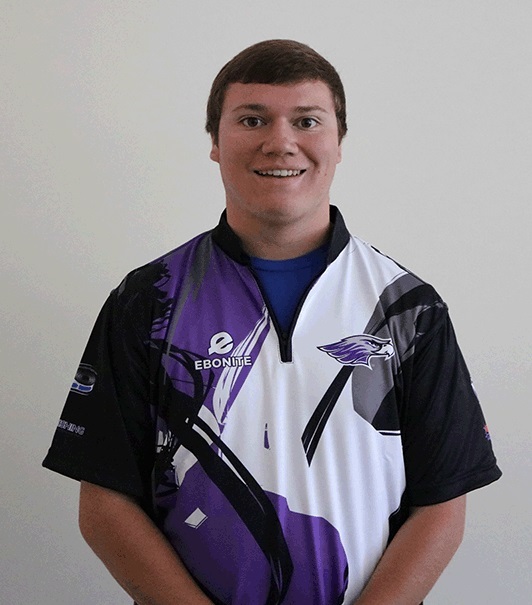 Junior Zach Woelfel was also named a National Collegiate Bowling Coaches Association Honorable Mention All American. The final award of the night, which had nothing to do with coaching, was awarded to Head Men's Coach Shawn Wochner. Shawn was awarded the NCBCA Gordon Teigen Meritorious Service Award for his work with the Leatherneck Classic and the Collegiate Club Championships. First thing Thursday morning was qualifying. Each team bowled 24 games for seeding purposes. The Warhawks finished qualifying in 6th place going +80. In the opening round, the UW Whitewater defeated a familiar Lindenwood University team 4-2. In the second round, the Warhawks lost to a tough Webber International University 4-2. In a close and high intensity match, the Warhawks defeated Morehead State University 4-3 in round 4. After the lunch break on Friday, the Warhawks lost Midland University 4-3. Like the Morehead State match, this was a close and highly emotional match. With the loss came the end of the collegiate career of six of our Warhawks! While nationals didn't go the way that we had hoped or expected, the team walked out with their heads held high knowing that they competed every shot and never gave up. And despite finishing worse than last year (7th this year, 5th last year), the team performed better which allows them to leave with their heads held high. Zach and Chris gained valuable experience which will help the new crop of Warhawks who will compete next post season! 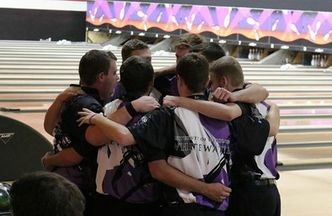 The Warhawks ventured to Indianapolis, IN for the 3rd annual Collegiate Club Championships presented by Logo Infusion. 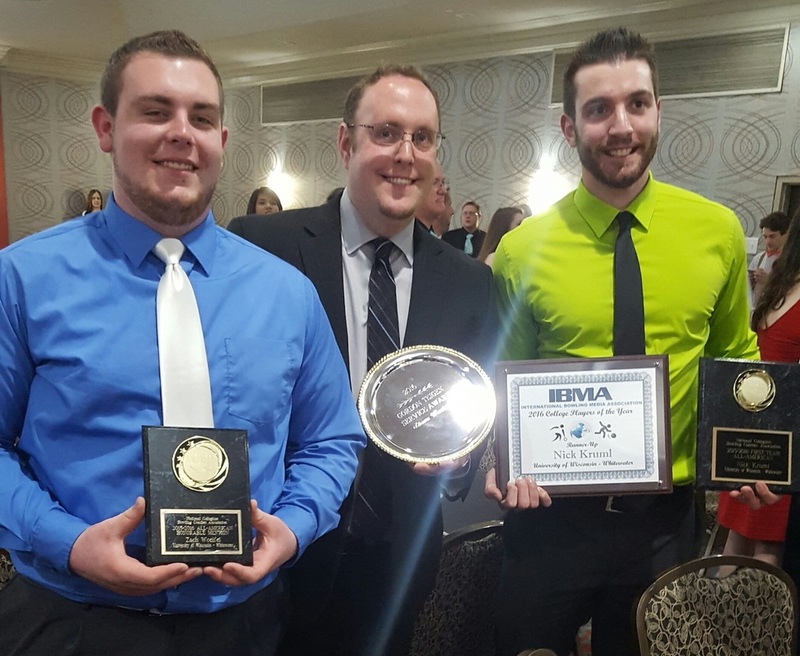 The weekend started with Senior Co-Captain Nick Kruml and Junior Zach Woelfel being named to the Bob's Business Club First Team All Americans. Also, Head Coach Shawn Wochner was named the Randy Widger Men's Club Coach of the Year for the second consecutive year. The Warhawks rode this momentum into the pool play where they were able to win the Marv Overy Pool with a 4-2 record. They also had the highest pinfall of all 24 teams in attendance. This gave the team the top seed in the double elimination bracket. 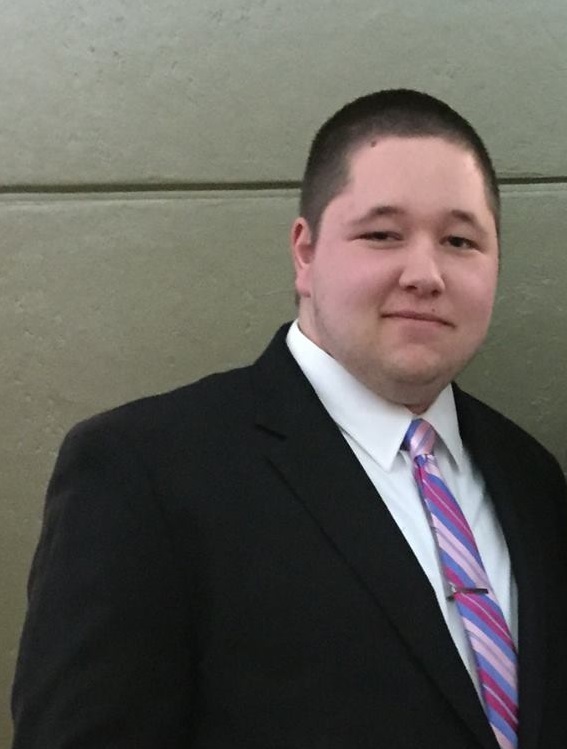 The team earned a first round bye and faced Illinois State University in the second round. While ISU put up a valiant effort to knock the Warhawks into the contenders bracket, the Warhawks rallied to win the match 3-2. On Sunday morning, the team ran into a very tough Purdue University team and found themselves in the contenders bracket after losing 2-3. 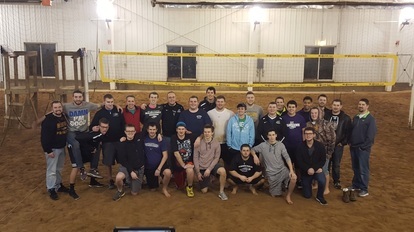 While in the contenders bracket, the Warhawks dominated teams beating West Texas A&M, Minnesota State University Mankato, the University of Wisconsin Milwaukee and William Paterson University before having to face off with Purdue University again in the semi finals. In an epic ending, the Warhawks ended up losing to the Boilermakers 0-2 to finish 3rd in the tournament. 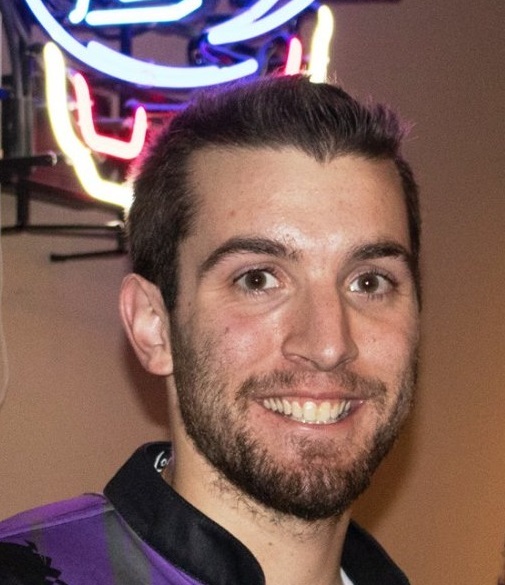 After the completion of the event, Nick Kruml was not only named to the Ebonite All Tournament Team, he was also named the tournament's Most Valuable Player. Congratulations to the team for their great showing and all of the award winners. We are now just days away from the Intercollegiate Team Championships. Looking forward to improve on the teams 5th place finish from last year. For the third consecutive year, the Warhawks will be heading to the national championship! Last weekend, the team finished third at the ITC Sectional Qualifier in Addison, IL. While the team lead for most of the weekend, they hit a bad pair down the stretch. In fact, because of the position round, had to bowl on that same bad pair twice in a row! However, because they finished in the top four, they have punched their ticket to the ITC's. The Intercollegiate Team Championships will kick off Wednesday April 20th with the Night of Champions Banquet. This is where the National Collegiate Bowling Coaches Association and International Bowling Media Association will announce their All American selections. We are hoping to have at least two Warhawks bring home honors this year. The tournament will open first thing Thursday morning with 24 games of qualifying. Then later that afternoon, the double elimination bracket will get underway. The bracket matches will continue on Friday, ending with the final two teams earning their spot in the title match which will take place on Saturday. We would like to wish our Warhawks the best of luck as they take their senior laden team into the national championships! You can follow all the action live on bowl.com as well as our Facebook page! For the first time in school history, the University of Wisconsin Whitewater will be represented in the Intercollegiate Singles Championships. Senior Co-Captain, Nick Kruml qualified for the singles tournament by winning the Addison sectional qualifier. Nick had a score of 1364 (3rd highest of all the qualifiers). Nick will now compete in Wichita, KS Tuesday April 19th. Check out all of the action live on bowl.com! It truly was an amazing season for the University of Wisconsin Whitewater. The regular season was highlighted by winning each of the four Wisconsin Collegiate Bowling Conference tournaments, winning the WCBC Conference Title, winning the Titan Invitational and winning the bracket at the Leatherneck Classic. 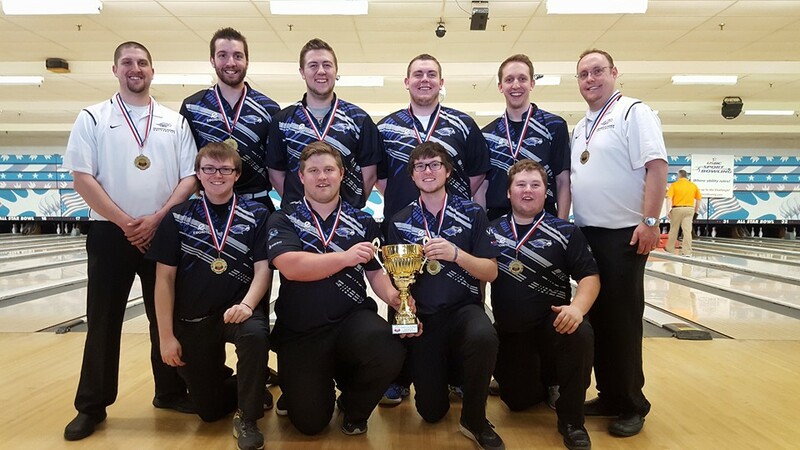 Eleven of the twelve tournaments bowled this season, the team placed in the top 5. The only exception to that was the ISBPA/Kegel Tier 1 where the team finished 14th. On the individual side, we also had a great year. We had seven different players earn a total of 18 individual All Tournament Teams. Senior Nick Kruml lead the way with an average of 217.352 ranking him 3rd in the nation. Nick also had six All Tournament Team finishes, including three wins. Junior Zach Woelfel was 2nd on the team in average, and 11th in the nation, with a 210.468 average. Zach earned four All Tournament Team honors. 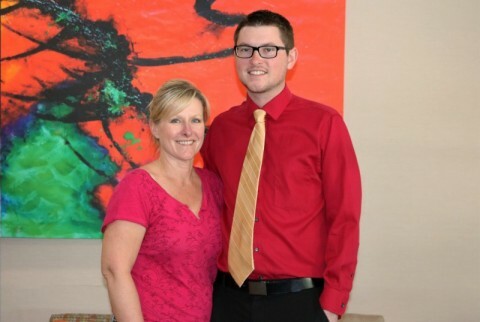 Senior Dan Reinke was third on the team, and 23rd in the nation with a 206.1000 average. Dan earned three All Tournament Team honors. Also finishing in the top 50 for individual averages in the nation was Senior Jordan Hastings. 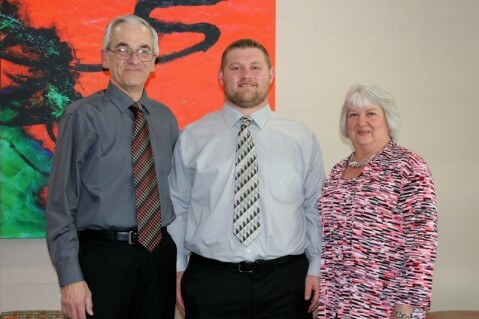 Jordan averaged 204.804 earning him a 31st national ranking individually. Jordan earned one All Tournament Team spot. Seniors Bobby Phillips and Ryne Greenwood, along with Sophomore Drew Fakler also each earned one All Tournament Team honor. Finally, Nick Kruml, Zach Woelfel, Dan Reinke and Bobby Phillips were named to the WCBC All Conference Team. Because of all the success the guys on the team and the team had this season, the Warhawks earned a 6th place national ranking among the 150+ men's teams. This is the highest season end ranking in school history! The team will now head to Addison, IL for the Intercollegiate Team Sectional tournament in hopes of making it back to the Intercollegiate Team Championships for the third consecutive year. After the Sectional tournament, which is March 11th - 13th, the team will head to the Collegiate Club Championships, presented by Logo Infusion. This tournament will be held in Indianapolis, IN April 9th and 10th. Best of luck to our Warhawks! 3rd Place Finis at the Hoosier Classic! 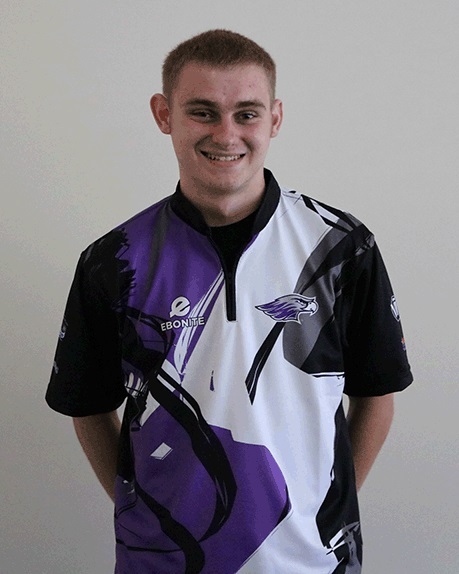 What an excited weekend for Warhawks Bowling! 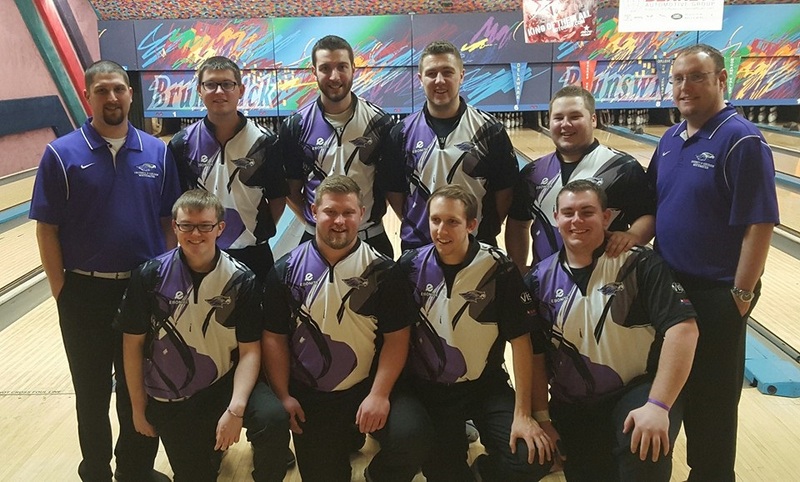 At the largest, strongest and most historic tournament on the college bowling schedule, the Warhawks dug deep and found their best overall team performance of the season. In a field of 78 varsity men's teams, including 45 of the top 50 ranked teams, the Warhawks finished 3rd in qualifying. This performance tops their 4th place finish two seasons ago. The team was lead by Junior Zach Woelfel who finished 5th and earning his 4th All Tournament Team honor of the season. Unfortunately, the bracket didn't go as anticipated or hoped for. After losing two close games, the Warhawks were eliminated in the opening round of the bracket. Urbana University won the match 2-1 in the best of 3 match. Urbana went on to lose in the semi-finals to the eventual tournament champions, Lindenwood University. Warhawks Capture Final WCBC Conference Title! 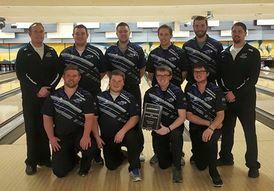 This past weekend, the UW Whitewater Warhawks captured their third Wisconsin Collegiate Bowling Conference (WCBC) Conference Championship in 5 years. The team did so in convincing fashion. 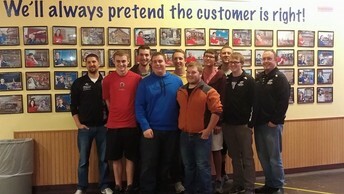 During WCBC 4, the team won by 769 pins over UW Milwaukee. They also earned the number 1 seed by amassing a record of 40-4 over the four conference tournaments. Seniors Nick Kruml and Jordan Hastings finished 1st and 2nd individually in the tournament by averaging 236 and 229 respectively. During the opening round of the bracket, the Warhawks faced off with the #8 seed, UW Platteville. 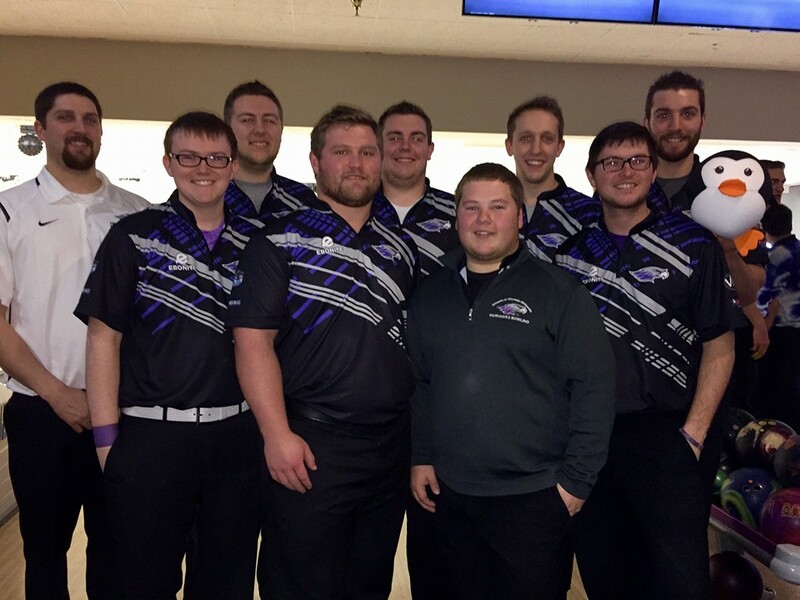 The Warhawks snuck past Platteville with scores of 233-163, 146-185 and 159-157 to advance to the semi-finals. During round 2, the Warhawks faced off with #4 seed, UW Stout. This match wasn't as close as the opening round as the Warhawks ended the match in two games with scores of 225-161 and 238-198. Then in the championship round, the Warhawks faced off with #2 seed and conference rival Minnesota State University Mankato. Despite the match moving to a best 3 out of 5 (instead of 2 out of 3), the Warhawks didn't give the Mavericks a chance to gain any momentum avenging their opening round loss last season. The Warhawks won in three straight with scores of 198-167, 189-146 and 229-176. Also this weekend, the WCBC named their five member All Conference Team. The Warhawks earned four of the five spots. Senior Nick Kruml earned the most points to earn his third consecutive All Conference Team. Other Warhawks making the All Conference Team included Seniors Dan Reinke and Bobby Phillips as well as Junior Zach Woelfel! This was the final season for the Wisconsin Collegiate Bowling Conference. With more teams joining our conference from outside of Wisconsin, the conference decided to change their name for next season. The new conference name will be the Great Lakes Collegiate Conference. The Warhawks look to continue their dominating performances under the new GLCC name! Senior Co-Captain Nick Kruml advanced to the 64 player double elimination bracket. During each round of the bracket, players bowled three games and total pin fall determined who moved on. In the opening round, Nick faced off with PBA champion Martin Larsen. Nick defeated Martin 702-686. In the next round, Nick faced Shawn Maldonado. Shawn defeated Nick in a close 621-616 match. Facing elimination, Nick's next opponent was the most dominant female player in the world, Kelly Kulick. After taking game 1, Nick came across some transition issues that proved to be too much for him to catch up. Nick ended his 2016 run at the Masters with a 535-597 loss to Kelly. These five players represented themselves, their families and our program extremely well. We are proud of each and every one of these guys for stepping up to compete on the grandest stage in bowling! I'm confident that this will be not the last Masters event that they five compete in. They are all great players who have a promising future in bowling! Another Wisconsin Collegiate Bowling Conference tournament, the same results. The Warhawks Varsity team won another conference tournament. This win was by 398 pins. The Warhawks were lead by Senior Nick Kruml who finished 2nd individually with 1344. Senior Dan Reinke and Junior Zach Woelfel tied for 3rd with 1301. And Sophomore Drew Fakler earned his first all tournament team award by finishing 5th with a total of 1268. The Warhawks will enter the final WCBC tournament this coming weekend with a record of 30-3, and a 1 point lead in the conference standings. The Warhawks will start Saturday at 12:15pm and at 8:45am on Sunday at Schwoeglers Park Towne Lanes in Madison, WI. The Varsity team will move into the top 8 bracket on Sunday to determine the overall conference champion. We hope to see all of our families, friends, recruits and alumni in attendance! This win also marks the 20th win for Head Coach Shawn Wochner during his six year tenure at the University of Wisconsin Whitewater! Three current Warhawks and a 2016-17 red-shirt Junior have traveled to Las Vegas to compete in the Team USA Trials this week. Senior Co-Captain, and 2014 Junior Team USA member, Nick Kruml is looking to earn his first birth on the adult Team USA. Sophomore Corben Sadowski and Freshman Josh Pate are both looking for spots not only on the adult Team USA, but the Junior Team USA as well. And re-shirt Junior Aaron Turner looks to earn a spot on the adult Team USA as well. Competition is scheduled to begin Sunday morning at the Gold Coast Casino and Bowling Center. For the men, starting times will be as follows: Sunday, Tuesday and Thursday: 10:00am (CST) and then on Monday and Wednesday: 2:45pm (CST). Each day of competition will include 6 games and each day will be bowled on a different pattern. All of the action can be watched live on BowlTV: https://www.youtube.com/user/BowlTV . Good luck to our Warhawks! A Pair of Top 3 Finishes in Allentown! As is tradition for the Warhawks, the varsity team made their way to New York City bright and early the morning after Christmas. 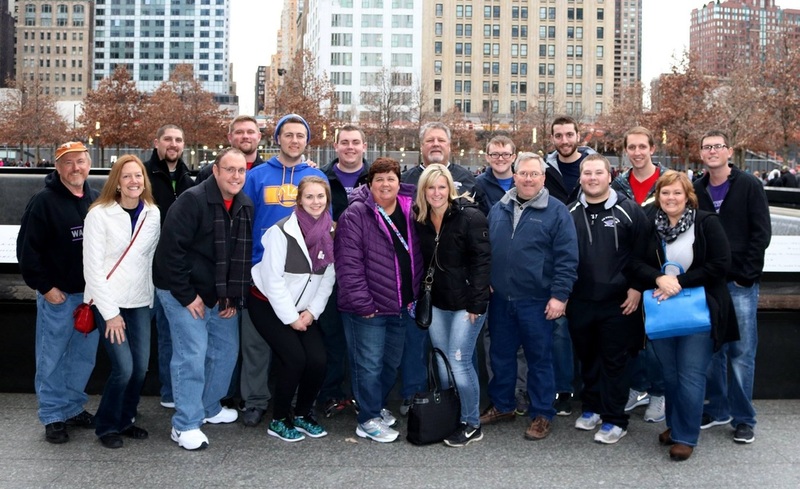 The team, and several families, spent the 26th touring New York City. 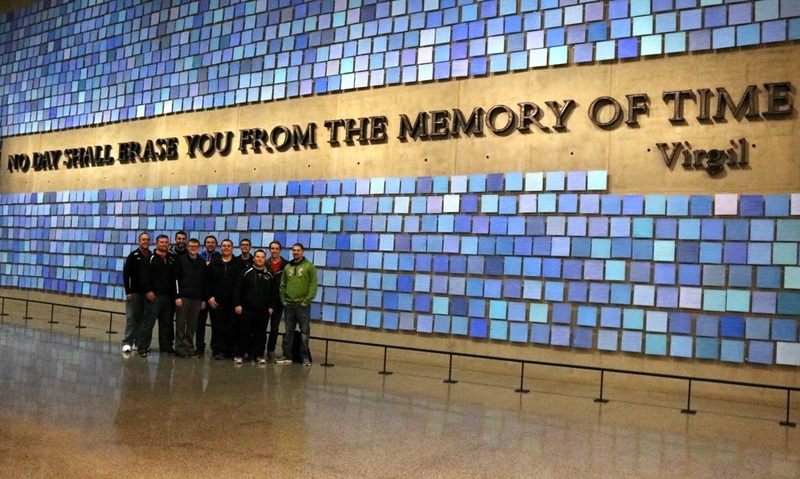 There were a few trips on the subway, a stop at the 9-11 Memorial and Museum as well as stops at both Times Square and the Rockefeller Christmas tree. It was a long and exhausting day but one that the guys will never forget. The next four days were packed with bowling. Both the Keystone Quaker Classic and the Lehigh Valley Classic were held in Allentown, PA. At the Keystone Quaker, the team got off to a sluggish start finishing 4th after day one. But the Warhawks rolled the second highest baker total for the second day to jump one spot to finish 3rd. 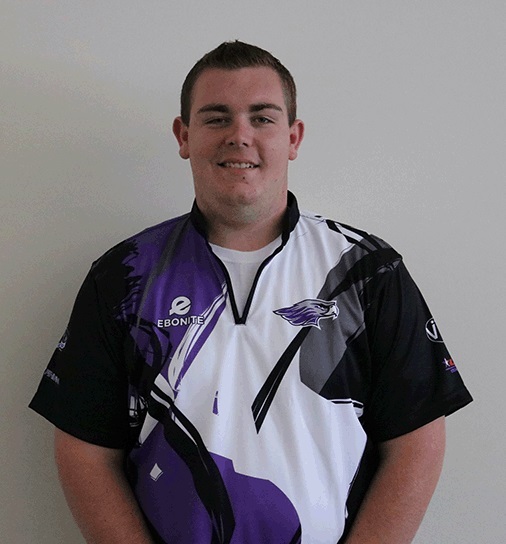 Junior Zach Woelfel was the top performer for the Warhawks finishing 17th individually with a 204 average. Senior Co-Captain Dan Reinke was right behind him in 22nd place individually averaging 201.4. At the Lehigh Valley Classic, day one turned out to be a great day for the team. After starting extremely consistent with games of 1000, 1004 and 1001, the team then made the turn to the high end of the bowling center and fired team games of 1078 and 1139. The Warhawks were in 1st place after the first day of competition. The second day didn't go quite as well as planned. While the teams baker scores were only fourth high for the day, the team managed to finish 2nd over all. Junior Zach Woelfel continued his great bowling by earning his second All Tournament Team finish of the season, finishing 2nd with a 223.2 average. Seniors Ryne Greenwood and Co-Captain Nick Kruml finished 11th and 12th respectively with averages of 211.4 and 210.8. The team is now taking some much needed time off but yet preparing for the ISPBA/Kegel Collegiate Classic January 16th and 17th at Stardust Lanes in Addison, IL. Through the first semester, the team is sitting ranked 3rd in the nation! Not shabby for a non-scholarship club program! Here's to an amazing 2016 and run at the Helmer Cup! Another Great Weekend for the Warhawks! The Warhawks fell just a bit short of winning for the fourth straight tournament. The men's team qualified in 2nd place behind Robert Morris University Illinois at their own home tournament. This was the best finish at the tournament for the Warhawks since winning the event in 2009. Junior Zach Woelfel finished 2nd individually (1414/6 - 235.67) while Senior Co-Captain Nick Kruml finished 5th (1334/6 - 222.33). The JV1 Team also won the JV division and would have finished 3rd among all 34 teams in attendance. JV2 was 3rd among JV teams! In the bracket, the Warhawks were gifted the first match with UW Milwaukee. In a decisive third game, all the Panthers needed to do was fill the 9th and/or the 10th in order to lock out the match. When players in the 9th and 10th frames missed makeable spares, the Warhawks were able to sneak out of the opening round. In the semi-finals, the Warhawks got out of the gate quickly shooting 260+ to take the first game. While St. Ambrose University bounced back with a great second game, game 3rd was better than their 2nd. The momentum swung in the Fighting Bees favor when their player in the 6th frame was looking at an 8-10 split before a pin knocked the 10 into the 8 allowing for a 6 or 7 bagger to take place, ultimately leading to the win for St. Ambrose. Good news is that they went on to win the tournament championship for the second year in a row. The Warhawks will spend the next two weeks wrapping up the academic semester and completing finals. The varsity team will return back to action December 27th - 30th with a pair of Tier 1 tournaments in Allentown, PA! 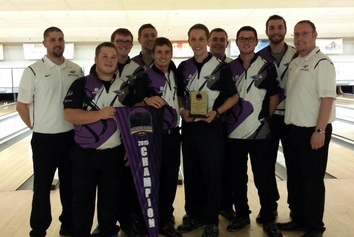 For the second weekend in a row, the Warhawks find themselves bringing home a tournament win. 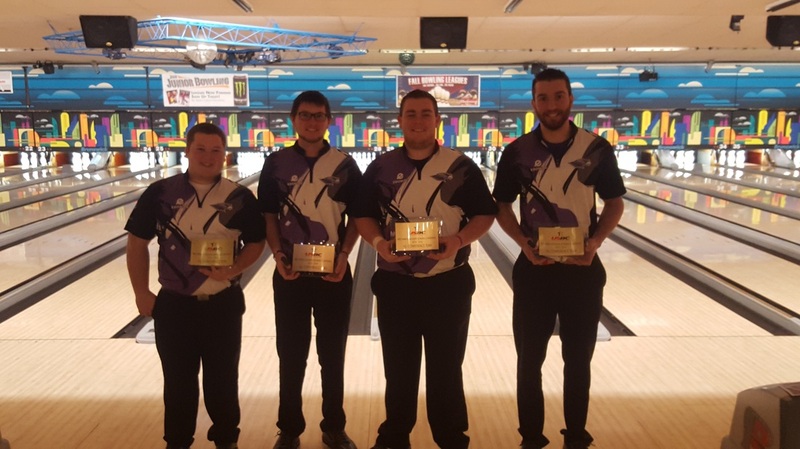 This time there was only 3rd place power points earned, but the team brought home the most coveted Tier 2 tournament championship in all of college bowling, the Leatherneck Classic. The Warhawks qualified 3rd in a very strong field where Lindenwood University and McKendree University took the top two spots. But once match play began, all pins were dropped and the teams were faced with a best of 3 single elimination bracket to determine the tournament champion. 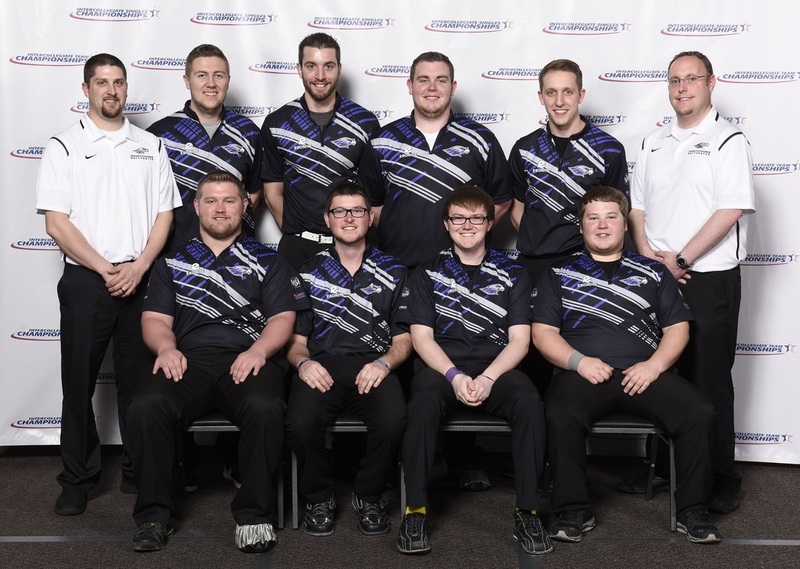 In the opening round, the Warhawks faced off with the team that handed them their first loss at the 2015 Intercollegiate Team Championships, Midland University. Whitewater came out strong winning 2-1 with game scores of 215-160, 177-232 and 246-181. In the second round, the Warhawks found themselves facing off with the team that knocked them out of the Titan Invite the week before, William Penn University. This time around, there was a much different outcome. In a much lower scoring match, the Warhawks found themselves again winning 2-1 with game scores of 194-146,131-189 and 180-157. Then it was on to the finals. In the championship match, the Warhawks faced off in a repeat from the 2014 Leatherneck Classic finals where they went toe to toe with Lindenwood University. The Warhawks fought extremely hard and won 2-1 with game scores of 210-189, 188-212 and 227-181! This championship win marks the first bracket tournament outside of conference in Head Coach Shawn Wochner's tenure at Whitewater. In the JV division, both teams qualified extremely well with JV 1 qualifying 2nd and JV 2 qualifying 3rd. Due to tournament rules, only one Whitewater team was able to participate in the bracket (2 teams from the same school can not advance to the bracket). So in the opening round, the Warhawks faced off against Lindenwood JV 1 and rallied to win the match 2-1. Game scores were 175-211,194-167 and 217-154. However, in the finals they were eventually taken down by St. Ambrose University JV 2-1. Game scores were 216-150, 173-256 and 164-177. Congratulations to all teams as this was a great weekend to be a Warhawk! Looking forward to two weeks off and celebrating Thanksgiving with our families and friends. Then we will be back in action at the Warhawk Open the first weekend of December in Madison! 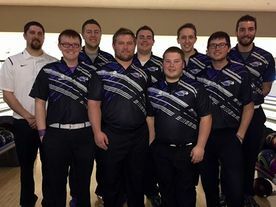 The University of Wisconsin Whitewater men's bowling program has won their first non-conference tournament since 2009. Back in 2009, the Warhawks won three straight tournaments: Minnesota Invite, Titan Invite and the Warhawk Open. 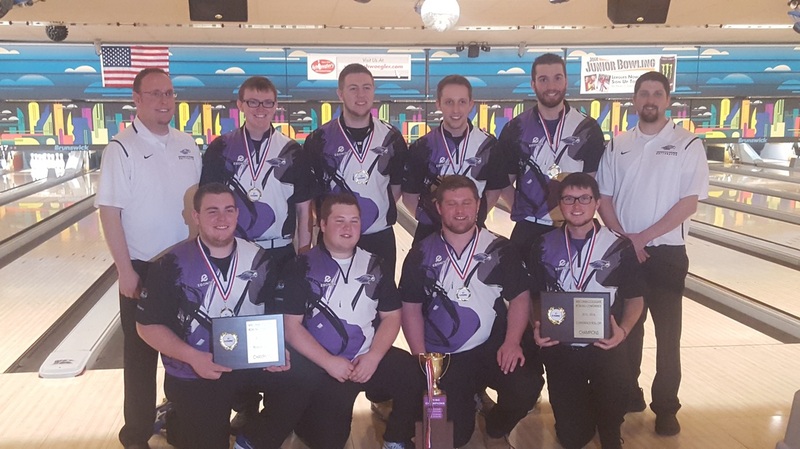 Since then, the Warhawks have a best finish of 2nd in multiple tournaments, including the Keystone Quaker Classic (Tier 1) in Allentown, PA as well as the past to USBC Sectional tournaments. While the team won the tournament according to the collegebowling.com power rankings, they finished tied for 3rd in the bracket championship. In the opening round, the Warhawks squared off against conference foe, UW Milwaukee. The Warhawks dominated game one, thanks to a few miscues from the Panthers. Game two was a different story. The Warhawks found themselves 1 pin ahead in the 6th frame before both teams ran strikes in the 7th, 8th and 9th frames. In the 10th frame, UWM anchor Nick Gort smashed the first two but got 7 on the fill shot allowing UWW anchor Jordan Hastings to step and and strike out to close out the match. In the next round, the Warhawks just couldn't seem to get the pins to fall their way as they faced off against William Penn University. Some lucky breaks, an unearned spare conversion and just a sheer lack of carry caused the Warhawks to fall 0-2 in the semi finals. Leading the way for the Warhawks at the Titan Invite were Seniors Nick Kruml and Ryne Greenwood. They finished 1st and 5th respectively. Also finishing in the top 10 for the Warhawks were Senior Dan Reinke (6th) and Junior Zach Woelfel (9th). This was a total team effort as all six players on the varsity roster who saw playing time averaged over 200. The Warhawks look to carry this momentum into this weekends Leatherneck Classic in Davenport, IA. The team qualified 4th there last year and ended up finishing 2nd in the bracket, after losing only to Lindenwood University. Looking forward to a great weekend out on the lanes. Be sure to follow our Facebook and Twitter accounts (given we have internet access) for all of the up to date information. For the first time in nearly three years, the Warhawks found themselves having to show up the final set of bakers in order to bring home the win. Going into the last set, the Warhawks were only 140 pins ahead of a strong Minnesota State University - Mankato. But in true Warhawk fashion, they stuck together and showed why they are a national top 5 team and shot 864 in order to pull off their 15th consecutive WCBC tournament and 18th in the past six season. Individual honors were once again earned by three Warhawk Seniors. Nick Kruml finished 3rd (216.5) while Bobby Phillips (with an assist from Jordan Hastings) finished 4th (210.67) and Dan Reinke finished 5th (210.0). Ryne Greenwood also finished 10th (206.17). The team will now take two weeks off prior to competing in the Titan Invite (November 7-8) and then the Leatherneck Classic (November 14-15). There is a saying that goes something like, "with experience comes results". That statement couldn't be more true than this past weekend at the Midwest Collegiate Championships. Behind a core of 5 graduating seniors, the Warhawks managed to score a 5th place finish at the first Tier 1 (major) of the season. Top performance for the Warhawks was from Senior Jordan Hastings. Jordan finished 9th overall with a 1291 total for 6 games, averaging 215.17. Fellow Senior Nick Kruml brought in a 28th place finish going plus 38 for 6 games, averaging 206.33. The Warhawks have this coming weekend off. Next weekend (October 17th and 18th), the Warhawks will venture back to Milwaukee for the second WCBC tournament of the season. This tournament will be held at AMF West and will begin at 9:00am both Saturday and Sunday. The Warhawks will be going for their 18th WCBC win in 6 seasons as well as their 15th consecutive, dating back to WCBC IV in 2012. This past weekend, the Warhawks kicked off their 2015-16 season with a bang. The Warhawks nearly captured the trifecta, but fell 55 pins short of that happening. The Varsity team captured their 14th consecutive WCBC tournament title in dominate fashion, beating Minnesota State University Mankato by 784 pins! The JV 1 and 2 team took the top spots in the JV division . JV 2 beat the next JV team (Stout) by 1,337! JV 1 finished 2nd overall while JV 2 finished 4th overall, just missing the pinfall recorded by Mankato. On the individual side of the spectrum, the Warhawks took 5 of the top 10 spots. Seniors Nick Kruml, Dan Reinke and Bobby Phillips finished 1st, 2nd and 5th respectively, all earning All Tournament Team honors. Sophomore Chris Wiley finished 6th while Junior Zach Woelfel finished 10th. There were a total of 10 Warhawks who averaged 200 or better this weekend. The other five Warhawks included: Senior Kevin Scholz, Juniors JR Meagher and Mike Schmitt as well as Freshmen Nick Haugen and Andrew Mullikin! Congratulations to all the Warhawks on an outstanding first tournament! Next weekend the Varsity team will travel to Wauwatosa for the Midwest Collegiate Championships. This is the first Tier 1 tournament of the season. Tier 1's are comparable other majors in other sports! The filed will include 40 varsity men's teams! Best of luck to the team selected to represent! I would like to begin by thanking everyone for trying out for the 2015-16 University of Wisconsin Whitewater Men's Bowling Team. This year set a record in terms of the number of guys attending tryouts and this was certainly the most talented group of people who have attended tryouts in my six years as Head Coach. Congratulations again on making the team. The coaches firmly believe that we have the talent to have an amazing season and make a legitimate run at the national championship in April. It all begins tomorrow! Looking forward to seeing you then! Please don't hesitate to let me know if you have any questions. 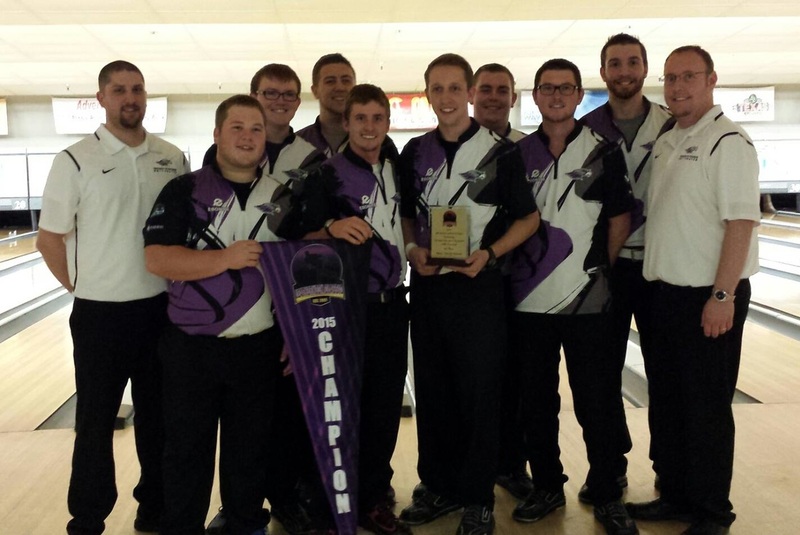 This is the tryout information for the 2015-16 UW Whitewater Men's Bowling Team! Below you will find everything that you need to know in order to try out for the team. Cost: $100 Must bring cash or check (made out to Whitewater Men's Bowling) to the meeting prior to tryouts starting on Tuesday September 8th. * - For each of the two 4 game blocks, competitors will be awarded points based on their rankings in each of the following stat categories: single pin conversion, multi pin conversion, strike percentage, fill percentage, pin count and average first ball count. ** - For the spare shooting and accuracy drills, competitors will be awarded points based on their ranking in 7 pin conversions, 10 pin conversions as well as accuracy drills (playing multiple spots on the lane). *** - For the physical fitness test, competitors will receive points based on national averages for each of the following areas of the test: 1 mile run, 2 minutes of push ups, 2 minutes of sit ups (NOT crunches). **** - For the 10 game block, competitors will be awarded points each game based on the highest game that game. This will happen each of the 10 games and for the 10 game total as well. ********** - It is also important to note that in ALL components of this tryout process, the coaching staff will not only be looking at the stats and points awarded, but we will be looking at your communication, your support of others trying out, your potential as well as your overall attitude. A bad attitude can prevent you from making one of the two travel teams. Exclusive 12 - This group will have the opportunity to travel to collegiate tournaments during the 2015-16 season. They will also be required to ONLY throw bowling balls from the Ebonite International family (Columbia 300, Ebonite, Hammer and Track) during college competition. They will receive 4 free EBI bowling balls. Travel 12 - This group will have the opportunity to travel to collegiate tournaments during the 2015-16 season. While they will not be required to be exclusive with EBI bowling balls, if they are selected for any post season play, they will be required to have an arsenal of EBI equipment. Developmental Team - This group will have practice rights but will NOT be able to travel and compete in collegiate competition during the 2015-16 season. Competitors selected to the Developmental team will be required to pay team dues in the amount of $200. This money will be due by Tuesday September 22nd. Please let me know, right away, if you have any questions about the tryouts, the process, the criteria that coaches will be looking at or anything about our program. The coaches are all looking forward to a great season and hope to have you be a part of it!